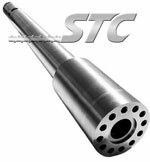 STC EQUIPMENT CORP. Designs, Manufactures and Rebuilds, Feedscrews, Barrels, Tips and Breaker plates, etc. for Injection Molding and Extrusion. When we build New Screws and Barrels, Or When Rebuilding existing ones, you can rest assured that With STC Equipment Corp. you will get only the best. QUICK RESPONSE AND RAPID DELIVERY. IF WE WERE YOU, WE'D BUY FROM US! 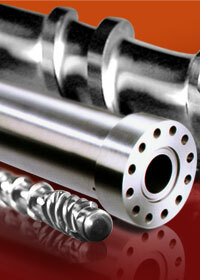 DESIGNING NEW SCREWS & BARRELS FOR YOUR SPECIFIC NEEDS. © Copyright 2005 STC Equipment Corp.